One of my favourite things about flying is handpicking my in-flight skincare routine... and also buying adorable miniatures of my favourite products. Cleanser — I always start off with clean skin. 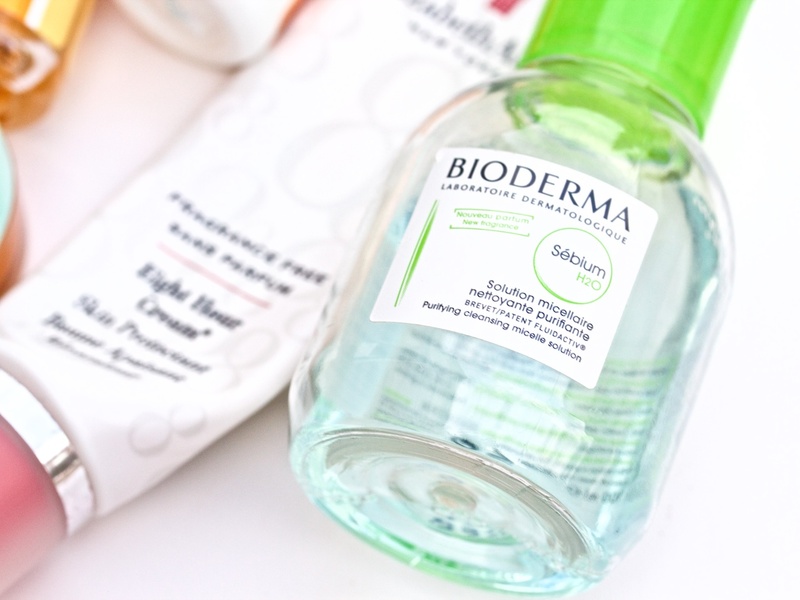 I love the micellar cleansing waters from Bioderma because they're gentle and they're easy to travel with. I soak a Shiseido facial cotton pad and wipe my face clean. Moisturizer — I don't think I have to tell you how drying airplane air can be. While any amount of time on a plane can wreak havoc on your skin, it is especially prudent to moisturize during long hauls. I love the Embryolisse Lait-Crème Concentré because it's a super hydrating & emollient cream. The Ole Henriksen Pure Truth Youth Activating Oil & Truth Serum are a an effective and light-weight duo (even more so because they come in travel sizes). You also can never go wrong with a layer of serum, the Tarte Pure Maracuja Oil helps seal in the moisture without clogging your pores. Also, if you need extra moisture under the eyes, don't forget your eye cream! 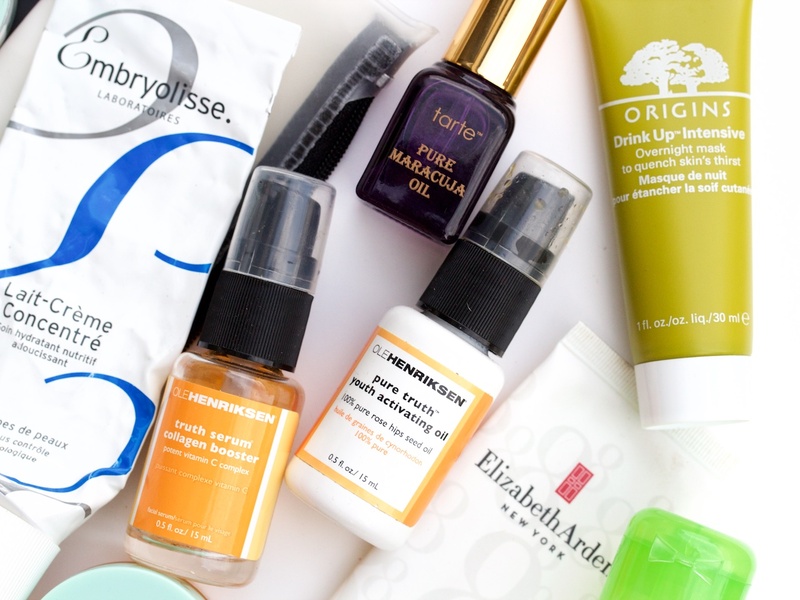 Mask—what better time to pamper your skin than on a long flight? I love to bring along a super hydrating mask to keep my skin plump until I land. The Origins Drink Up Intensive Overnight Mask is great for that. It's lightweight and absorbs beautifully into the skin to keep it looking fresh. Lips—dry lips are never good. My holy grail long-wearing balm is the Elizabeth Arden 8-hour cream. It's a thick cream that easily glides over the lips to prevent them from drying out. It's something I always bust out before bedtime and my lips feel great when I wake up. Plus, they have a "fragrance free" version now, which eliminates that strong yet familiar scent. Hair—don't forget about your mane! I always bring a hydrating cream to keep my ends moisturized. Products like the Phyto 9 Daily Ultra Nourishing Botanical Cream or the Living Proof Perfect Hair Day treatment work beautifully to keep your hair sleek and hydrated. 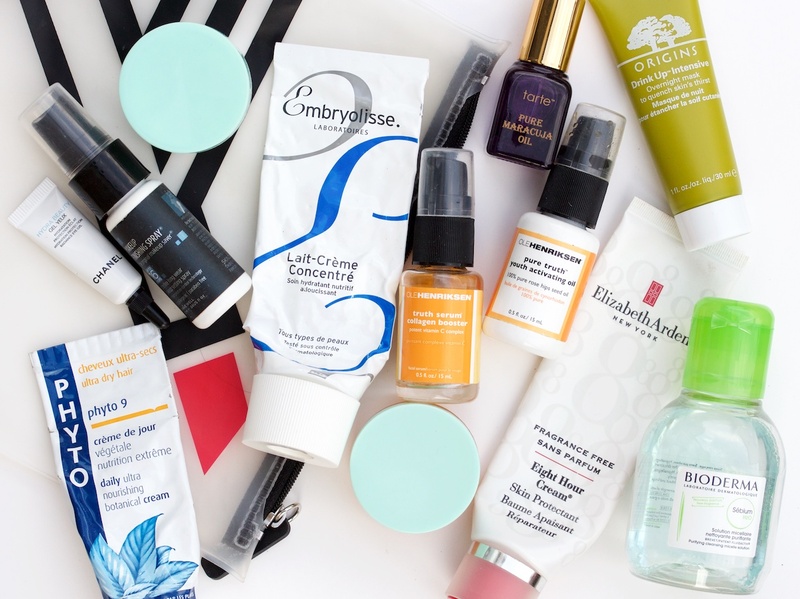 You know those samples you've been hoarding in a drawer somewhere? Now is the perfect time to bust them out! They're often the perfect size for a holiday & they fit perfectly in your travel bags. Pick up travel sizes! Those cute minis at the Sephora checkout? They're not only adorably packaged, but totally practical for a getaway. If you can't find any miniatures of your faves, decant them into reusable containers! Try to only squeeze/scoop out as much as you'll need and no more. It's so easy to forget about those containers once you return home, and you don't want to waste any product. 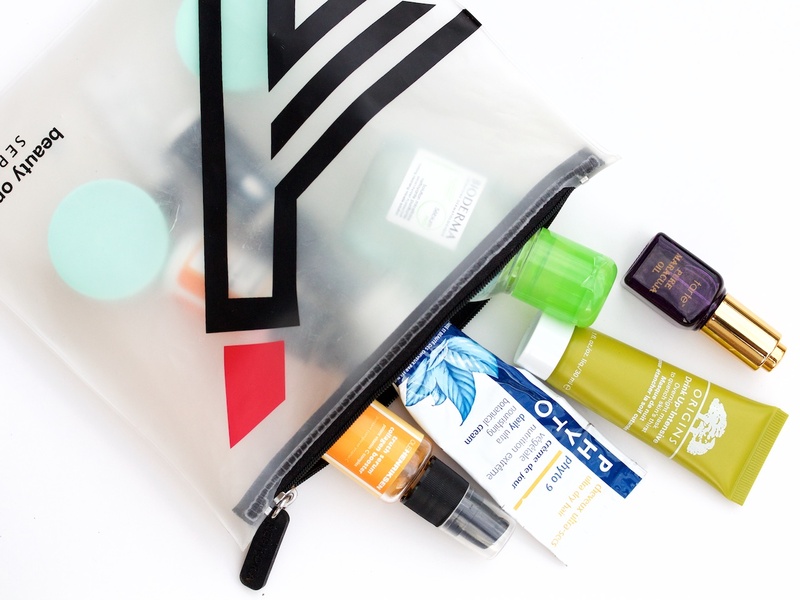 Do you have your in-flight skincare routine down? Let me know what products you love to travel with! The Origins mask is one of my all-time favourites! You know Shoppers sells these super duper adorable travel zips. I keep meaning to pick one up! I am pretty terrible at packing for carry on travel, totally indecisive and I'm always scared to use anything new (from my sample stash) in case I break out. But one thing I gotta agree with is the mask! Masks are ESSENTIAL when I travel!